Brotherhood of the Bomb is the fascinating story of the men who founded the nuclear age, fully told for the first time. The story of the twentieth century is largely the story of the power of science and technology. Within that story is the incredible tale of the human conflict between Robert Oppenheimer, Ernest Lawrence, and Edward Teller - the scientists most responsible for the advent of weapons of mass destruction. How did science - and its practitioners - enlisted in the service of the state during the Second World War, become a slave to its patron during the Cold War? The story of these three men, builders of the bombs, is fundamentally about loyalty - to country, to science, and to each other - and about the wrenching choices that had to be made when these allegiances came into conflict. 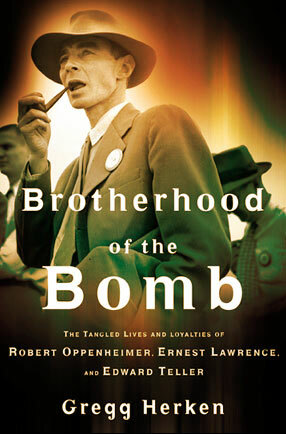 "Brotherhood of the Bomb is fast-paced, deeply researched, and resolves many longtime mysteries..."
Gregg Herken is professor of history and a member of the founding faculty at the University of California, Merced. He is the author of The Winning Weapon, Counsels of War, and Cardinal Choices, and received a MacArthur research and writing grant for this book. He and his family live in Santa Cruz and Merced, California.